SAW010241 SCOTLAND (1947). Edinburgh, general view, showing The Meadows and Leith Docks. An oblique aerial photograph taken facing north. 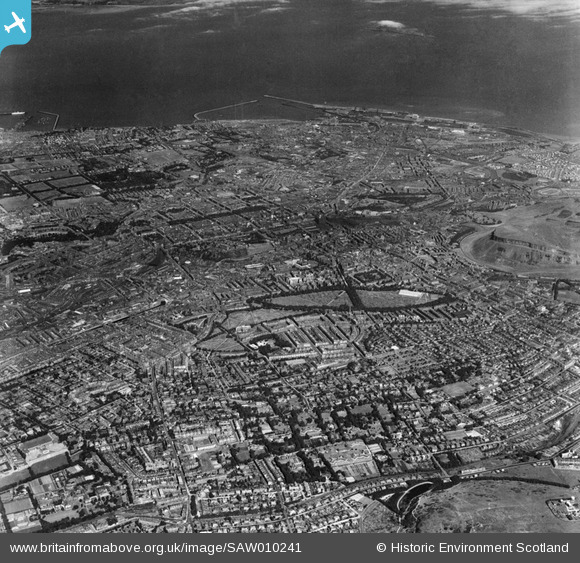 Title [SAW010241] Edinburgh, general view, showing The Meadows and Leith Docks. An oblique aerial photograph taken facing north. Site of Royal Gymnasium Ground. Old Meadowbank stadium, home of Leith Athletic FC and Edinburgh Monarchs speedway. Royal Observatory Edinburgh, on Blackford Hill.